Customised Machines specially crafted and designed as per customers requirement! 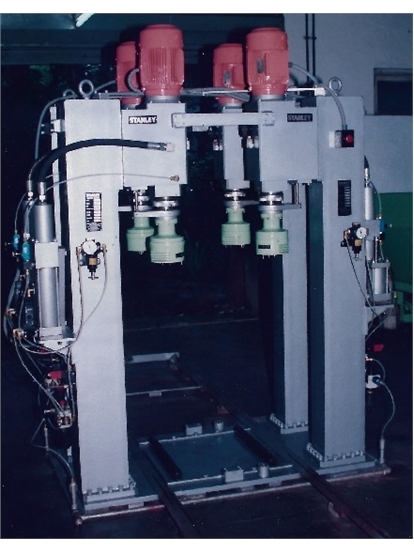 Provision of multi-splindle head for our Machine to suit customers job requirements. These Photos illustrate the application of SPM for various operations. For instance, photo on the left shows SPM developed to rivet washing machine reinforcement plates at four corners. 16 riveting operations are done at a time. We have also developed 2 at a time automatice rivet feeding setting & eyeletting machines. Whatever the clients requirement maybe, get in touch & we will provide customized special purpose machine .